Some of the most popular ranges of bathroom basins and toilets emanate from these collections and represent exceptional value for money. With the introduction of the S20, S50 and T4, you will find the bathroom of your dreams with ease and at a price better than you expected. 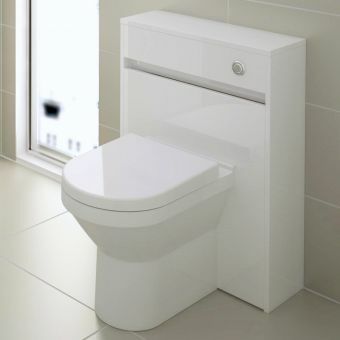 VitrA Sento Wall Hung ToiletFrom £193.60 inc.VATRRP: £242.00 (Save 20%)One of our best selling wall hung toilets! With a modern smooth shape, & seat options of slim or standard thickness. VitrA Integra Wall Hung ToiletFrom £183.20 inc.VATRRP: £229.00 (Save 20%)Timeless, simply designed wall hung toilet with a choice of toilet seats. For use with a concealed cistern and frame. 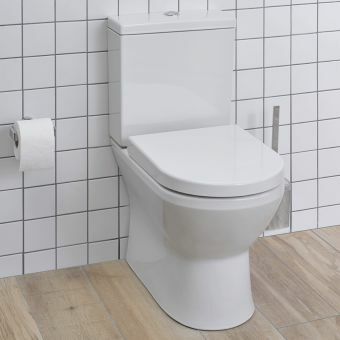 VitrA Integra Close Coupled Rimless Back to Wall ToiletFrom £362.40 inc.VATRRP: £453.00 (Save 20%)Fully back to wall toilet bowl for vertical or straight back soil pipes for a simple clean look, hiding pipework neatly. VitrA S20 Close Coupled Closed Back WCFrom £90.35 inc.VATRRP: £139.00 (Save 35%)Classic close coupled design with a WC pan that goes fully back to the wall, also called a 'closed back' toilet. 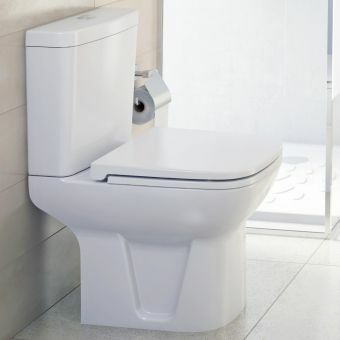 VitrA S20 Close Coupled Open Back WCFrom £79.30 inc.VATRRP: £122.00 (Save 35%)Close coupled toilet with an open back pan design, a modern classic shape at an amazing price point! 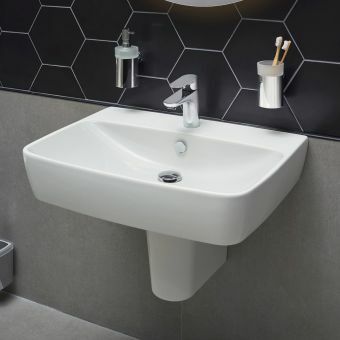 Solidly built and affordable, VitrA provide basins that are fresh, modern and compatible with a range of decors, all presented with highly accessible price points. 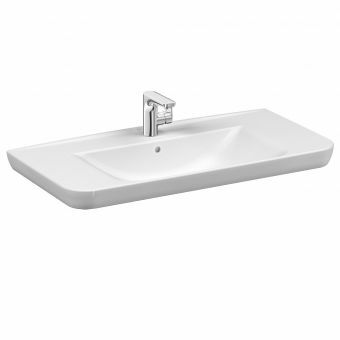 VitrA Shift BasinFrom £130.40 inc.VATRRP: £163.00 (Save 20%)4 popular sized bathroom sinks: 550, 600, 650, or 800mm wide. With one tap hole and pedestal or bottle trap options. VitrA Outline Round BowlFrom £328.01 inc.VATRRP: £410.00 (Save 20%)Choose from 4 contemporary colours: black, taupe, mink or white, all in a matt texture with a colour matched waste. VitrA Milton Cloakroom SinkFrom £40.30 inc.VATRRP: £62.00 (Save 35%)Budget bathroom basin for cloakrooms and small en-suites at a petite 45cm in width, with 1 or 2 tap holes. VitrA Elegance Basin WasteFrom £37.05 inc.VATRRP: £57.00 (Save 35%)3 contemporary finishes: Copper, Gold or Chrome. Suitable for all standard basins. 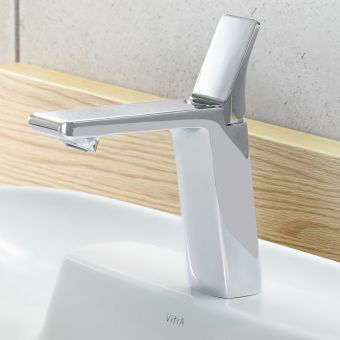 Suits VitrA brassware. 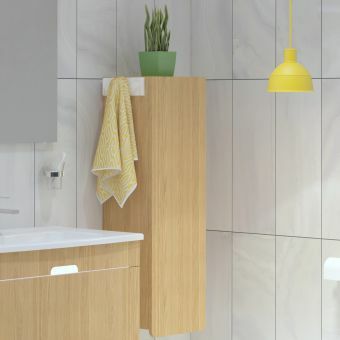 VitrA bathroom furniture is superbly made and comes fully assembled, there are options for a broad spectrum of requirements from fantastic value for money units which are smart and simple, to bespoke designer units in luxurious finishes. 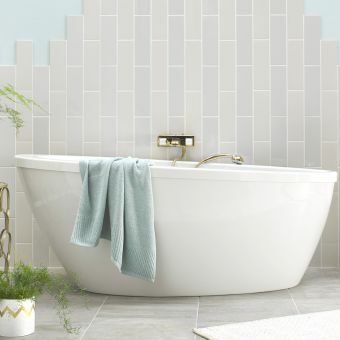 Comfortable, creative & spacious, with an option for every budget, VitrA Baths are one of our preferred ranges among customers looking for a quality bathtubs. 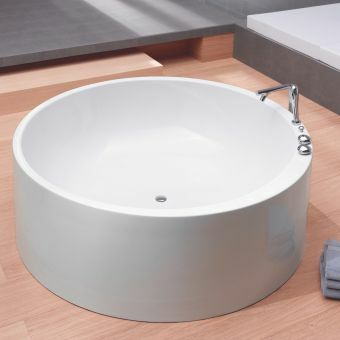 VitrA Neon Double Ended BathFrom £451.75 inc.VATRRP: £695.00 (Save 35%)VitrA 1800 x 800mm large double ended bathtub. Ideal for a deep long soak in the bath, reinforced base acrylic. 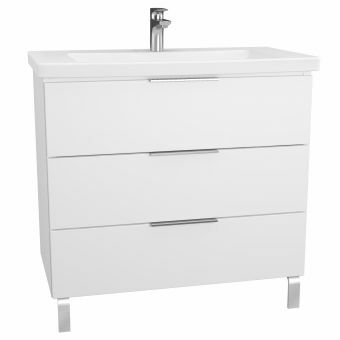 VitrA Cocoon Freestanding BathFrom £2391.19 inc.VATRRP: £2989.00 (Save 20%)Stunning freestanding bath, with optional wooden step & option to add a tap cover section for walls/corners. 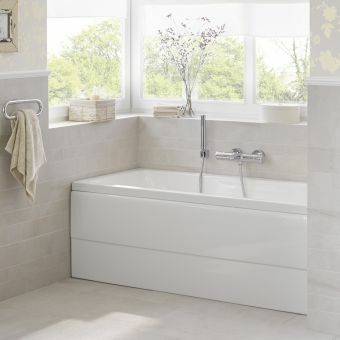 VitrA Silence Freestanding Bath£2752.80 inc.VATRRP: £3441.00 (Save 20%)1700mm large freestanding bath in a beautiful elliptical oval design, set includes surround panel & bath waste. VitrA Istanbul Cylindrical Bath£3284.81 inc.VATRRP: £4106.00 (Save 20%)Unique designer round free-standing bath, made to order. Stunning unique bathtub, a true centrepiece! 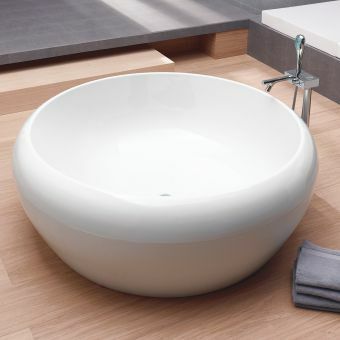 VitrA Istanbul Round Bath£3935.21 inc.VATRRP: £4919.00 (Save 20%)Distinctive, matchless rounded sculpture like circular luxury bath. Designer piece by Ross Lovegrove & VitrA. 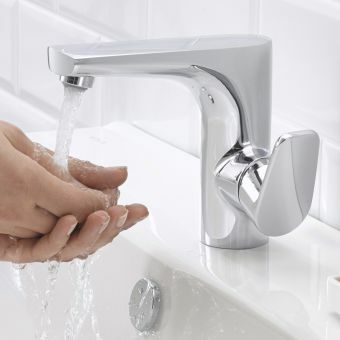 VitrA bathroom brassware provides plenty of product choice from bathroom taps and mixers to bath fillers, available in a wide range of modern colours such as copper, gold or classic chrome! VitrA Suit L Basin Mixer TapFrom £96.20 inc.VATRRP: £148.00 (Save 35%)Monobloc basin mixer tap with lever handle, designed for 1 tap hole basin. Choose from Copper, Gold or Chrome. VitrA Minimax S Cloakroom Basin TapFrom £67.60 inc.VATRRP: £104.00 (Save 35%)Small sized cloakroom basin mixer tap with lever handle, option for pop up waste or smooth bodied with no waste. 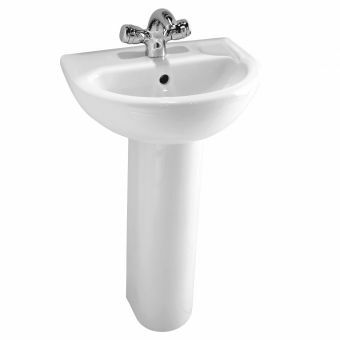 VitrA Minimax S Basin TapFrom £72.15 inc.VATRRP: £111.00 (Save 35%)Standard sized basin monobloc 1 hole mixer tap. Options for no waste or a pop-up waste type. VitrA Z Line Side Lever Basin TapFrom £97.50 inc.VATRRP: £150.00 (Save 35%)Monobloc basin mixer tap with a side lever handle, options for with or without pop-up waste. VitrA Z Line Tall Side Lever Basin TapFrom £146.90 inc.VATRRP: £226.00 (Save 35%)Tall basin tap ideal for wash bowl basins or countertop basins, with or without pop-up waste, side lever handle. VitrA Z Line Side Lever Swivel Basin Tap£122.20 inc.VATRRP: £188.00 (Save 35%)The top section of the basin mixer tap swivels round to different positions for ease of use, side lever handle. VitrA Memoria Basin Tap£378.40 inc.VATRRP: £473.00 (Save 20%)Contemporary basin mixer tap with square architectural angles, lever handle monobloc style bathroom sink tap. 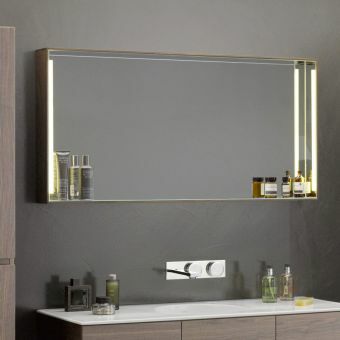 Choose from a superb range of differently shaped wall mounted bathroom mirrors from VitrA, with or without LED lighting options in a choice of styles. 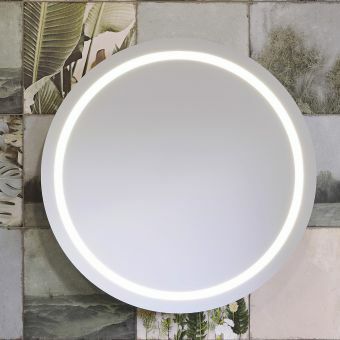 VitrA Frame Large 80cm Round LED Mirror£1054.39 inc.VATRRP: £1318.00 (Save 20%)Round mirror with energy saving LED lights that activate on approach with proximity or a light touch. VitrA Nest Mirror with LED LightingFrom £443.21 inc.VATRRP: £554.00 (Save 20%)Choose from 3 sizes: 60, 80 or 100cm. 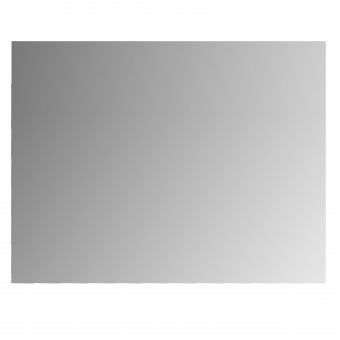 4 colours: White, Anthracite, Grey or Natural Wood. Eco LED lighting. 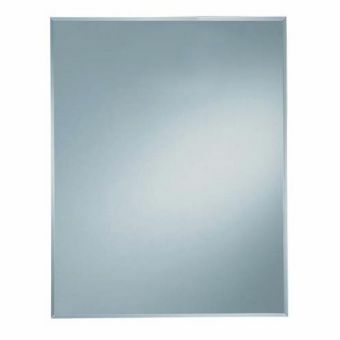 VitrA Brite Illuminated MirrorFrom £184.00 inc.VATRRP: £230.00 (Save 20%)Illuminated mirror, touch on/off sensor, 4 sizes: 60, 80, 100, 120cm ideally suited to the same sized VitrA basin units. 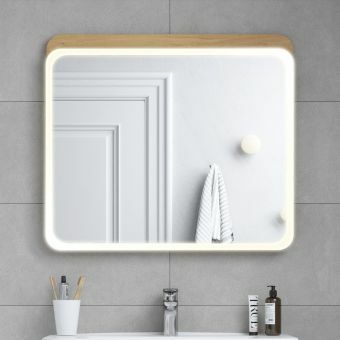 VitrA Nest Mirror with ShelfFrom £378.41 inc.VATRRP: £473.00 (Save 20%)Large bathroom mirror with a handy shelf area for storing toiletries or adding decorative elements to your bathroom. 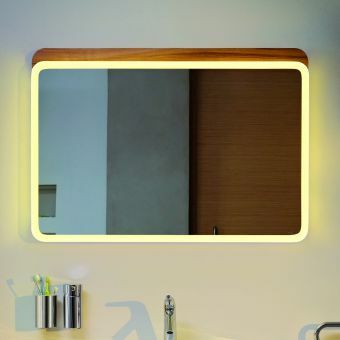 VitrA Sento Illuminated MirrorFrom £399.19 inc.VATRRP: £499.00 (Save 20%)Oak frame with LED illumination, sensor activated. 5 sizes: 50cm, 60cm, 80cm, 100cm, 120cm. 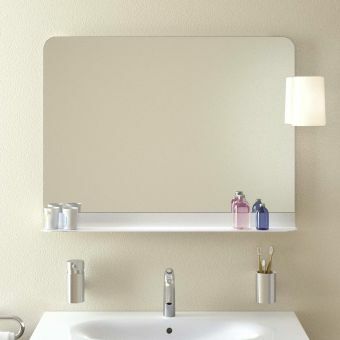 VitrA Memoria Illuminated Mirror with shelfFrom £815.21 inc.VATRRP: £1019.00 (Save 20%)Illuminated with LED fittings. Available in two finishes. Available in widths 1200 or 1500mm. 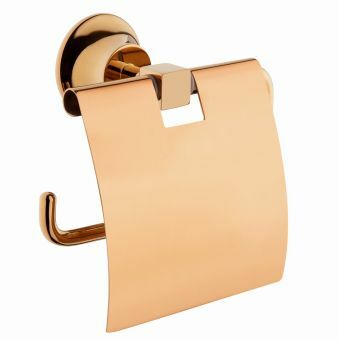 VitrA's bathroom accessories offer a stunning high-end collection of product choices including gold and copper finish options to create a luxurious, contemporary bathroom interior. VitrA Eternity Soap DispenserFrom £85.61 inc.VATRRP: £107.00 (Save 20%)Free standing large liquid soap dispenser, choose from black and gold, black and chrome or white and chrome. VitrA Eternity Toothbrush Holder TumblerFrom £80.81 inc.VATRRP: £101.00 (Save 20%)Smooth organic shaped tumbler/holder. Choose from black with chrome or gold, or white with chrome. 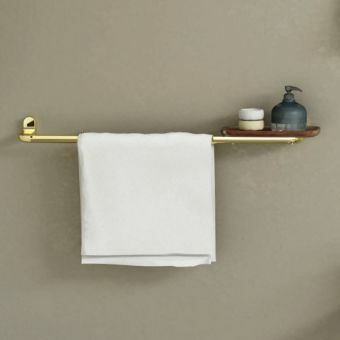 VitrA Eternity Towel Rail with Teak ShelfFrom £225.60 inc.VATRRP: £282.00 (Save 20%)Towel rail in chrome or gold plate, with a useful waterproof teak wood shelf dish area. VitrA Eternity Toilet Brush & HolderFrom £127.99 inc.VATRRP: £160.00 (Save 20%)Designed by Sebastian Conran for VitrA, these stylish wooden handled holders come with gold or chrome trim. Founded in Turkey during the Second World War, Vitra has a history of triumph in the face of adversity. Establishing themselves as a global brand, Vitra products can be found all over the world, in domestic, public and business spaces. Their Essentials Collections brings together their most popular ranges, presented with an open and modern orientation. Turning their attention to the more affordable sector of the market, Vitra present their Essentials range as a viable alternative for anyone looking to create a fresh, modern living space without overspending. As a collection of ranges, Vitra Essentials provides the essentials for everyday living, presented in professional finishes with accessible price points. Coordinating items within a room, or from room to room, could not be easier with these pieces, designed to work in harmony. Vitra adopts an eco-friendly approach at every stage of the process, from reducing waste during manufacturing to designing products with a reduced carbon and water footprint. 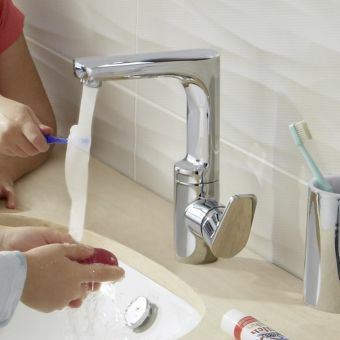 By employing water saving technology, everyday running costs are reduced. Coupled with the affordable price tag, each item becomes a sound investment against further future costs. The Vitra Designer range is the epitome of contemporary luxury. With an emphasis on crisp lines, product performance and a sense of balance, Vitra Designer has an open and user-centric orientation. The bathroom that utilises Vitra Designer products becomes a space of light and comfort and takes on a harmonious aspect between object, space and user. Being the iconic line for Vitra, the Designer range is naturally based upon the relationship with designers. Employing contemporary designers from a host of backgrounds, artists and architects to innovate new ranges, Vitra Designer remains fresh and relevant. Products from award winning designers such as Alejandro Aravena and Michel Charlot are to be found in these collections. Vitra is also dedicated to reproducing iconic pieces from yesteryear. By reissuing the classic pieces of the likes of Jean Prouve and George Nelson, the modern interior can benefit from the works of these twentieth-century pioneers of design. The VitrA Bathroom range of products is extensive, with a choice of complete bathroom suites to the individual items such as toilets, bidets,washbasins , baths, bathroom furniture and bathroom accessories. VitrA is a Turkish designer and manufacture of bathroom equipment. VitrA in one form or another can trace its heritage back to the early 1900s. Back then though it was producing bathing and fragrances for the famous Turkish Pharmacist üleyman Ferit Eczacibaşi; who started the company. The Eczacibaşi family after many years successfully operating a growing pharmaceuticals business opened their first ceramic factory in 1958. The name VitrA originates from the word Vitrifying or a vitrified product, as in resembling the hardness and polish of glass; which ceramic is after all. VitrA is not to be confused with the Swiss design company of the same name. It can be a bit confusing but the bathroom manufacturer VitrA has a capital V & A, whereas the Swiss designer is all lower case: vitra. The Bozüyük site is the main site for the VitrA products we sell. This is one of the world’s top manufacturing facilities with the latest in bathroom manufacturing technology and an expertise that goes back as far as the ‘70s since the site was opened. VitrA takes care and consideration when bringing any product to market. They are committed to realising only products they can be proud of to the market, to do this they work closely with international designers. Having the right design team in place can be seen in the awards and accolade VitrA has earnt from the reddot design award, Good Design, iF product design award & Elle Décor Award. You are guaranteed with a VitrA product to have something that has been carefully thought through and looks stunning in your home. Whilst the aesthetics and the engineering are of paramount importance, so too is the sustainability of the company; which VitrA takes very seriously with their Blue Life: A Pledge To The Future. As a company, they are consistently investing and refining was to minimise the waste from the manufacturer and they are committed to improving on this as much as they can. What’s the difference between VitrA Designer Collection & VitrA Bathroom Collection? The VitrA Bathroom Collection is their entry level ranges, from the S20 to the Zentrum. They represent great value, and for the price, you are getting a far superior product. We see the bathroom collection being used in homes and commercial settings. The fact that they are used in a commercial setting is a testament to how enduring these items truly are. The VitrA Designer Collection is the pinnacle of design. From the angular look of the T4 range to the smooth lines of the newly introduced Sento. 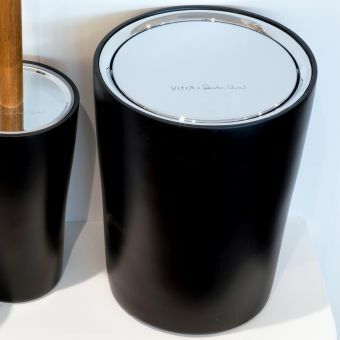 These are the products from VitrA that will make a statement in your bathroom. They are more expensive (but not always, look at the Sento) but they are simply a treat to look at. The quality of T4 is apparent. 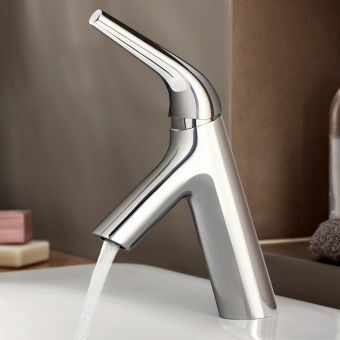 Coming from one of the global leaders in bathroom ware design and creation, T4 draws upon the Anatolian design heritage of VitrA to present a coherent, tasteful, luxury range in the Mediterranean style. 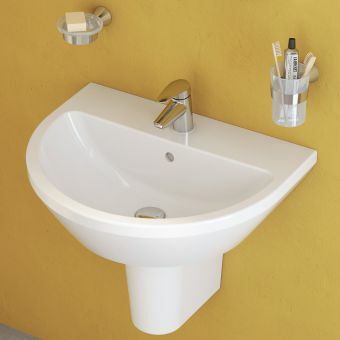 A comprehensive series of sanitary ware and brassware piece, T4 items are designed to be used with each other. 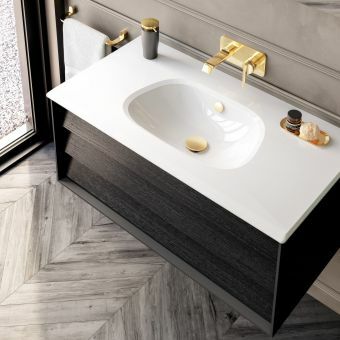 Basins are fashioned into a wall mounted, countertop and semi recessed versions to give full versatility of application, with numerous size options for ease of installation from the large master bathroom, to the small cloakroom area. 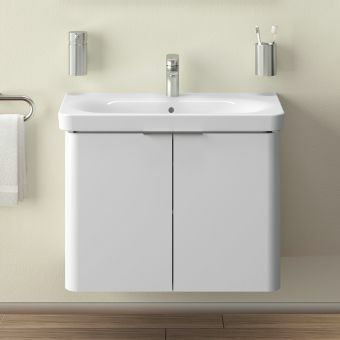 Presented in gloss white in a pure and simple form, T4 basins and sanitary ware can be coordinated with light or dark palettes, and any building material from glass to wood or mineral. 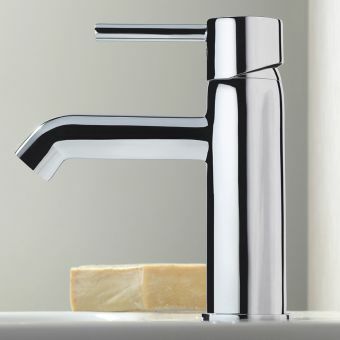 Created with the ceramic ware in mind, the T4 brassware has been designed as a suitable companion. Sleek and streamlined, mixers come with standard or cutaway outlets, with the latter creating a cool waterfall effect when operated. When paired together, T4 pieces create a sense of harmony and tranquillity, both welcome qualities in the heaven that is the bathroom. Cool, calm and collected, M-Line has a real sense of Scandinavian class throughout the entire range. Designed with a simple but refreshingly open style, VitrA M-Line pieces coordinate with a wide range of modern interior finishes. Capable of coordinating with stone, glass, metal or wood, M-Line has the fashion credentials to make it in the modern living environment. Fashioned from a basic square shape and softened with rounded corners and gently scooped bowls, the sanitary ware and basins in the M-Line series has a definite air of cleanliness and hygiene about them. 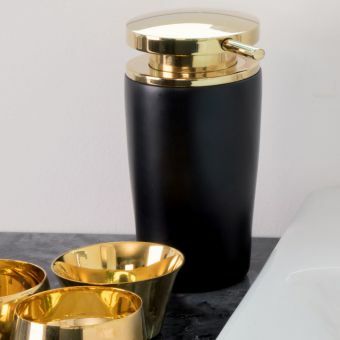 Included in this range is the powerful statement piece of the M-Line Freestanding Washbasin, a tall and striking unit that is an exemplary piece of continental chic. Hanging together seamlessly, M-Line works as a team. Undercounter, countertop or wall hung basins all give an open and accessible space in which to wash, while modern wall hung or close coupled toilets are both comfortable and efficient. As pioneers of bathroom product design, VitrA is a master when it comes to taking existing items and applying their creativity and imagination to produce something fresh and exciting. The Memoria line from their Designer collection is no exception, using modern manufacturing techniques to create stunning new pieces. 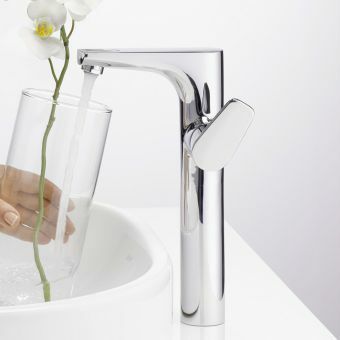 Each basin within the Memoria range is realised with a crisp, ultra thin edge. By harnessing new techniques and materials, these basins are almost works of art in their own right, creating a sense of poise and balance. Finding strength in the slimmest of surfaces defines Memoria. Shaped into a series of attractive, simple polygonal designs, Memoria is a perfect fit within the modern, minimalist interior. Bearing echoes of contemporary Scandinavian style, Memoria is a fresh and inviting series. 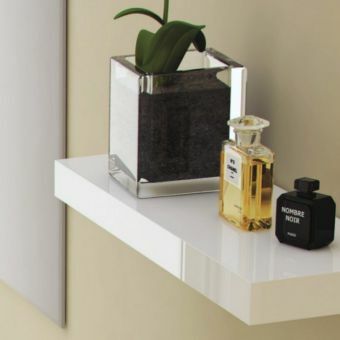 Mounted to the countertop, its neutral colour scheme can be paired with wood, mineral or metal with ease. Please note that these come with no tap holes, and require a compatible freestanding or wall mounted mixer. Warm and stylish, the Nest series from VitrA Designer ranges comes into its own in the property that is looking for a homely quality. With this in mind, Nest is a sensible option for not just the family domicile, but also the guest house or bed and breakfast that wishes to project a welcoming character. Consisting of a broad range of items and applications, this series of furniture encompasses sanitary ware, storage and mirror units that hang together in harmony. Multiple colour finishes for the wooden furniture pieces ensure it can be matched to your specific tastes and surrounding décor with ease. Select from the tasteful tones of Anthracite, Grey Natural Wood, High Gloss Wood or Waved Natural Wood to give the right finish. 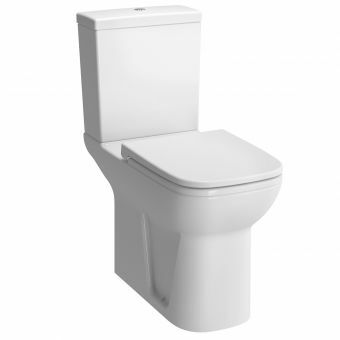 Sanitary ware includes efficient, modern toilet suites and a bidet suite, all coordinating naturally with each other. As a thoughtful nod towards the family home, Nest also includes a child step, allowing the whole family to use the vanity units and basins with total ease. VitrA Options, as part of their Designer range, is appropriately named. 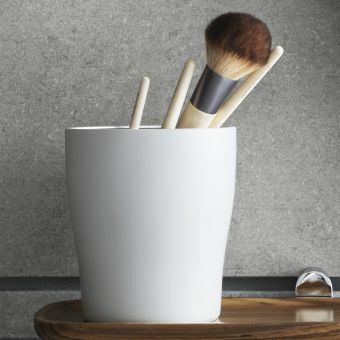 As a collection of basin pieces, VitrA has drawn on their heritage of ceramic design to produce a series that is innovative, modern and with a variety of applications. With over seventy years of design experience behind them, VitrA demonstrates their expertise of innovative bathroom product creation with Options. 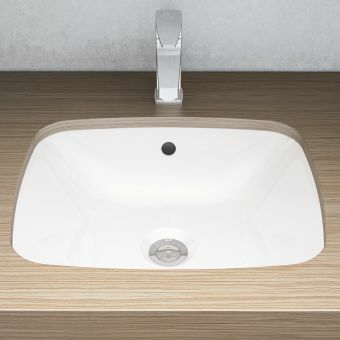 Presented in a range of shapes, designs and styles, these basins are all made to be affixed to the work surface to create an open and accessible wash space in the continental style. 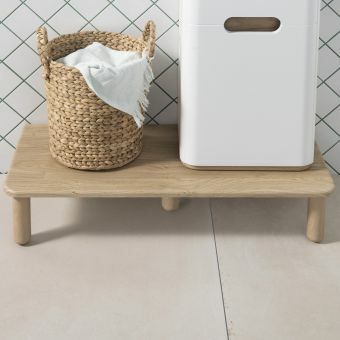 Sporting a fresh and modern appearance, these basins can be paired with wood for a natural finish, or mineral for a strong, Mediterranean finish. 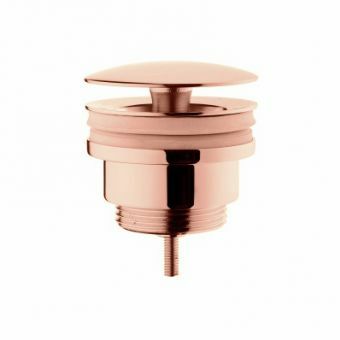 Compatible with brassware that is either wall mounted or deck mounted accordingly, Options basins lend themselves to a range of taps and valves. Choose Options to unleash your creative side and design a bathroom space that is unique and personal to you. Fresh and inviting, Shift is a range to add vitality to the living space. 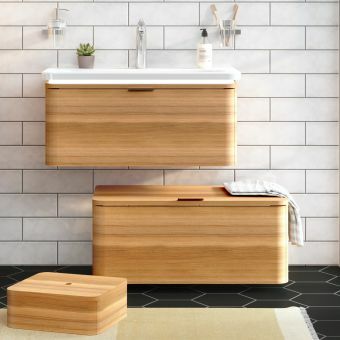 A finely tuned arrangement of sanitary ware and wooden furniture, Vado have drawn on their seven decades of design expertise to deliver a range fit for the modern home that is based on light and space. Four separate colour schemes, each with a distinctive tone and character are available for the Shift furniture units. Ranging from the single tones of White and Grey to the warm wooden finishes of Zebrano and Mountain Larch that add that calming, natural element to the interior, Shift has the palette to excite the adventurous interior designer. 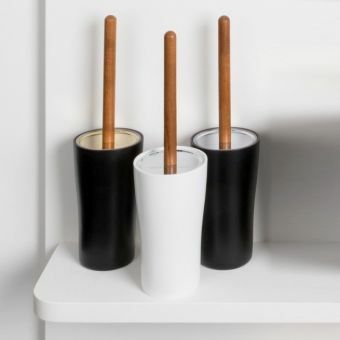 Ceramic ware is shaped into tasteful and pared down forms, shaped around the square format and given softened corners and smoothly rounded interiors. To complete the range, illuminated mirrors and mirror cabinets bring the perfect ambience to the interior. 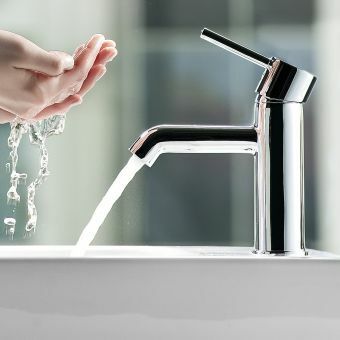 Setting itself totally apart from the pack, Waterjewels is a flagship series of products from the VitrA Designer range. 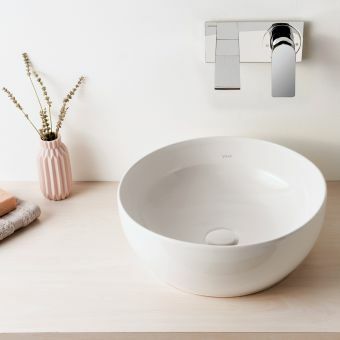 By turning their elite design skills and craftsmanship to media other than ceramics, VitrA has created a series of basin options that add an immediate sense of luxury to the bathroom space. 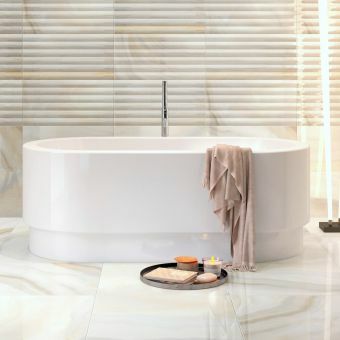 For anyone wishing to create a palatial atmosphere in the bathroom, Waterjewels is the range to get the heart racing. Beautifully rendered in Gold, Platinum, Black, Copper or White, these bowls have a regal quality and a beauty in their simplicity. When paired with one of the dedicated countertops, which are supplied in three different widths and with a range of tap hole options, a stunning wash space is created. 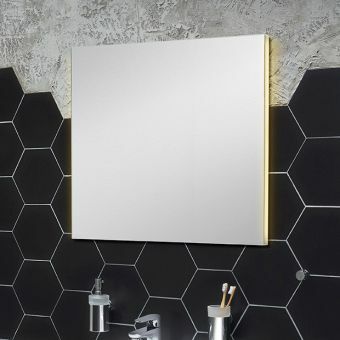 Fresh and luxurious, it invites the user to rejuvenate simply by its appearance alone. Whether paired with a wall mounted mixer set or a tall mixer tap, the bathroom becomes a five-star feature of the living space. As a flagship range, S20 from the VitrA Essentials line showcases their eye for forms and styles that work together harmoniously. With over seven decades of design heritage behind them, VitrA is experts in taking familiar ideas forward with fresh and innovative approaches. Working on a series of furniture and sanitary ware, each piece is designed to complement the next in any order imaginable. By creating this sense of cohesion, the user is free to pick and choose pieces as required, without worrying about compatibility of form or function. 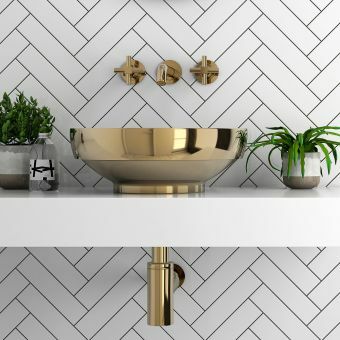 Basins are presented in an array of formats, from vanity units to sunken countertop basins to give the full scope of application and creativity when it comes to arranging your bathroom area. Wooden elements are available in Golden Cherry wood for a warm, natural look, or Cool White for a touch of monochrome chic. WC units have been created with comfort and longevity in mind, bringing eco-friendly efficiency of water use to the product to reduce water consumption and long term running costs. Strong, solid and possessing the versatility to adapt to a range of contexts, the S50 collection is a sensible option for the domicile and commercial areas alike. When installed, the bathroom suite that uses S50 possesses a tangible sense of hygiene through its clean surfaces, lack of dust traps and easily maintained forms. Kept inexpensively priced, it is possible to fit an entire bathroom area that has is both modern in appearance and open and accessible. Toilet suites have been arranged in a variety of guises, from short projection wall hung suites for the smaller bathroom or en suite, to raised profile WC pans to give increased comfort and accessibility for those with mobility challenges. Presented cleanly with a sense of neutrality, S50 pieces harmonise in any arrangement. Built to last, VitrA provides a ten-year guarantee with their items in the S50 range against any manufacturing defect. A sound testament to its longevity, S50 can be bought with the utmost confidence. Smooth to the touch and easy on the eye, Zentrum has a glossy, quiet confidence to it. Devoid of excessive ornamentation or irritating dust traps, the pieces within the Zentrum range allow their shape and style to speak for themselves. Kept with prices accessibly low, Zentrum is a series that is favoured by those looking to update or renovate while keeping a close eye on budget constraints. Multiple options for WC units gives the designer versatility when it comes to choosing the final look and functionality, with back to wall and wall hung units a sound choice for the minimalist look. 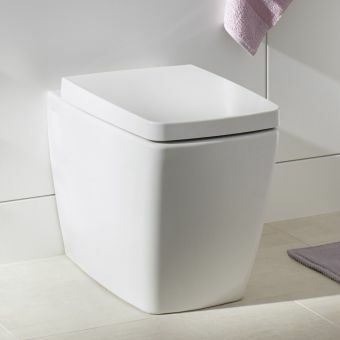 Paired with a concealed cistern, these options give a sleek, pared down finish to the interior. 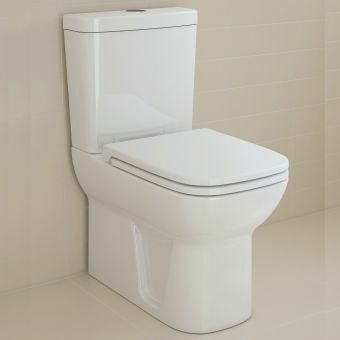 Soft close toilet seats are available on request for a further touch of luxury. Basins are supplied with an overflow and tap hole as standard. When matched with a monobloc mixer, a simple but effective wash space is created with a minimum of fuss. Examining the Layton Collection, it brings together an appearance of poise and balance. 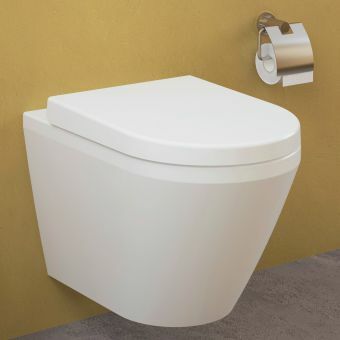 Particularly noticeable in the close coupled toilet suites, Layton WC pans have an almost gravity defying quality rendered through their use of slimline materials and clever deployment of space. By merging form and arrangement in such a way, Layton is a series with a deceptively simple quality. 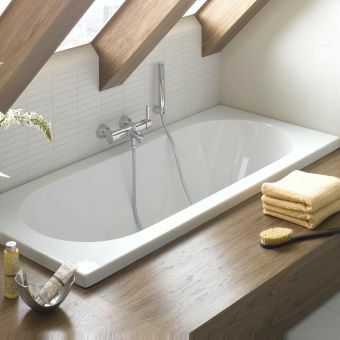 Basins within the Layton Collection come with a range of different size options to choose from. Ranging from smaller cloakroom options to grand master bathroom sizes, a sense of cohesion can be achieved by employing the range throughout rooms within a property. Featuring full or half pedestals, plumbing is obscured for a neat and professional finish. 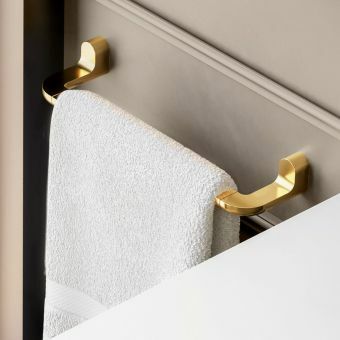 By sporting a bold, friendly appearance and a neutral colour, Layton can fit within a range of interior colour schemes and can be readily paired with brassware in traditional or contemporary guises. This flexibility makes it a firm favourite with our domestic and commercial customers alike. Specifically designed to cater for entry level requirements, Milton has been priced accessibly while retaining all the features expected from quality designers, VitrA. As a pair, this basin set and close coupled WC series make the ideal choice for anyone looking for a quick solution to the cloakroom area. Updating an existing space, or installing a bathroom or cloakroom from scratch while sticking to a budget does not equate to a sacrifice in quality. Arranged with an honest and neutral demeanour, the Milton WC suite pieces are a fine example of effectiveness through simplicity. The close coupled suite is also a wise long term investment. Its compact cistern has a greatly reduced footprint when it comes to water consumption, meaning not just a lower price now, but a guaranteed lower price when it comes to long term running costs. Available with different tap hole and sizing options, the basin can be adjusted to fit its surroundings neatly. 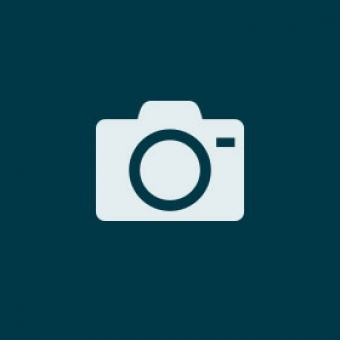 In all, Milton is a winning combination for the designer with a budget to adhere to. As a firm favourite within the business and hospitality sector, the S-Line Collection from VitrA works as a unit that is particularly effective when applied to the public lavatory or restroom area. Neutral in form and appearance, it can be paired with a broad range of styles and colour schemes as required. Milton Inexpensive price tags, a clean and efficient appearance and an emphasis on comfort make S-Line a winning combination. Wall hung and close coupled suites offer efficient use of water, with the former available with a short projection option for situations where interior dimensions are limited and space is tight. Sporting a recessed basin, suitable for vanity units or work surfaces, this range comes into its own when applied to the public cloakroom. 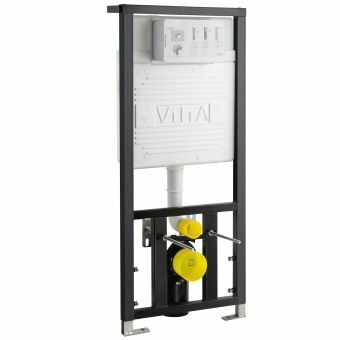 Milton Included in this series is a urinal dividing separator, finished in white ceramic for easy compatibility with S-Line urinals. A delightful collection of traditionally inspired pieces, lovers of all things vintage or rustic will find much to cherish in the Serenada series. And with prices set at accessible points, a finely realised bathroom suite in the period style is not left in the realms of exclusivity. Featuring the stepped, architectural features associated with Edwardian and Victorian styles, Serenada is a series with much to recommend it. Working in harmony, these basins and WC suites make natural pairings and are therefore an obvious choice for fitting out the cloakroom or restroom area. 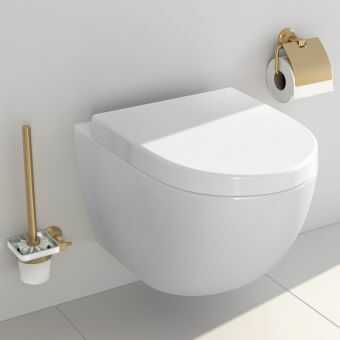 Incorporating contemporary features, such as the close coupled toilet that includes an efficient, low volume flush system, an ideal balance between contemporary benefits and the appeal of traditional aesthetics is struck. Elegantly simple in appearance, Serenada is a fine addition to the bathroom that wishes to project a sense of comfort and homeliness.